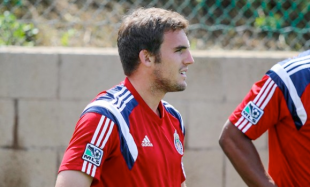 Lumberton, New Jersey native and Reading United alum Ryan Finley is wasting no time making an impact with Chivas USA. Finley will look to add some more first team minutes in the coming weeks as Chivas has a hectic schedule, including a game against Philadelphia Union on Saturday (10:30 pm, CSN, MLS Live,MLS Direct Kick). Russell Canouse, M, Hoffenheim — Came on in second half in weekend win over FC-Astoria Walldorf. League: 23 games.